Here is a list of load indexes and a reference table for the number of plies of tires. In fact, the load index is a number that indicates the maximum weight that can withstand the tires on your vehicle, considering that they have adequate pressure. For most cars and trucks, the load index is between 75 and 100, equivalent to a capacity of about 387 kg and 800 kg, while you can find a load index ranging from 0 up at 276. You will find this index on the sidewall of your tire, specifically on the right of the diameter measurement. 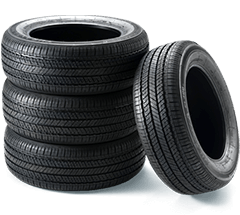 For example, the number 94 of the Code: 255 / 40R17 94W indicates the load index, or more simply, it is the last number in the series on the tire. Is it Possible to Increase or Decrease Your Load? You have questions about whether it is possible to change the load capacity of your tires? In summary, you can increase your load index, but check the vehicle's instruction manual to ensure that this load fits your vehicle. Otherwise, you can not choose a lower load capacity than indicated on your original tires. 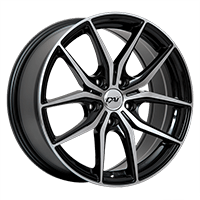 The load capacity has been established based on the weight of your vehicle, so if you buy tires with a lower capacity, that will cause discomfort and could compromise your safety. When purchasing a tire, it is important to consider the speed and load ratings to ensure that the tire is safe for your car. The load index is represented by a number defining the maximum weight a tire can support.